This was the first thing Donnelly Rhodes said to me on my first day as the director of Danger Bay. I assured him that I had no intention of telling him how to act, and we got to work. He drove me crazy. I found out later he was doing what he called “Breaking in a new director.” I think the game was to see if he could make me angry enough to punch him. Donnelly loved a fight. I don’t think we ever got to be close friends, but we did enjoy each other’s company and treated each other with mutual respect, after a time. 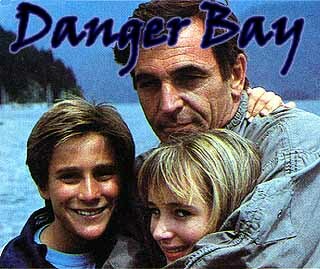 On the second episode of Danger Bay I directed, the guest stars were two television series regulars from Toronto, Harvey Atkin and Eve Crawford. They happened to be quite tall. Donnelly was not. On the first day of shooting that second episode, Donnelly was required for publicity stills for the first hour of our morning. I set up a scene with the two guest stars, shooting as much of it as I could before Donnelly was scheduled to enter. When he did arrive on set, I told him the scene called for him to come out of a door at the Vancouver aquarium and walk down to a position between the two guest stars where he would deliver his lines. Donnelly walked out the door and into the scene. Standing between the two guest stars, he looked like a midget. He held his hand over his head and started jumping up to it, like he was trying to be taller. We got along fine after that. Donnelly had a reputation as a wildman and a jerk. Sometimes he lived up to it. I heard about one location shoot in a small, conservative, Ontario town. Donnelly brought up a couple of prostitutes from Toronto to hang out with him and the other actors. “We’re just the fucks.” would be the abrupt answer. True, but rather shocking for the local residents. When I lived in Gibsons Landing, Donnelly had a place around the bay from my place. We were both into boats. Except my boat at the time was a twenty-six foot sailboat that cost me nothing beyond the purchase price. His boat was huge, aluminum, diesel powered with twin thirsty engines, and breaking the bank. Like Donnelly it was bigger than life. We got to know each other, and I enjoyed some good times and good conversations. I got the news today that he’s died at the age of eighty. I’m sorry he’s gone. This entry was posted in Celebrities I Have Known, film biz stories by zale. Bookmark the permalink.